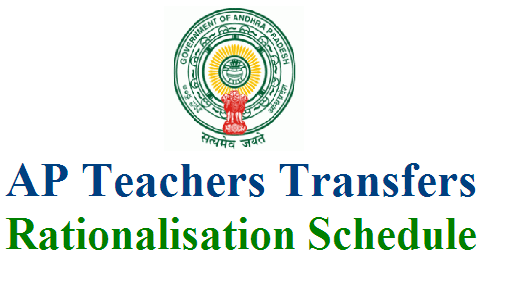 School Education Department AP has decided to conduct the Teachers Rationalisation and Transfers in July 2016 and Released the Schedule for Conducting the Teachers Rationalisation and Transfers through web based in all Districts of State. AP DSE have been prepared and issued Certain guidelines, instructions and procedures on AP Teachers Transfers and Rationalization Web based counselling. This schedule for Teachers Transfers and Rationalisation and this schedule has got approval by the DSE Andhra Pradesh.